Below you can view all the homes for sale in the Cherry Knolls subdivision located in Centennial Colorado. Listings in Cherry Knolls are updated daily from data we receive from the Denver multiple listing service. To learn more about any of these homes or to receive custom notifications when a new property is listed for sale in Cherry Knolls, give us a call at 720-924-7403. Great family home, less than 5 minutes to Sandburg in the award-winning Littleton school district (LPS), and walk down the street to the amazing social community that is the Cherry Knolls Pool. MLS#3574292. TRELORA. Fantastic location near Cherry Knolls Park, Sandburg, Newton & Streets at SouthGlenn! MLS#8691593. The Steller Group, Inc.
Additional garage can be added in the expansive back yard. Quick possession. MLS#4795703. Brokers Guild Classic. Close to Streets at SouthGlenn, top-rated schools, walking trails, DTC & more! MLS#2436685. The Steller Group, Inc. Walking distance to Blue Ribbon Sandburg Elementary, 24-acre Cherry Knolls park, short walk to the Highline Canal and Streets of Southglenn. MLS#9433548. OLSON REALTY GROUP. Pool nearby with membership options available, the Cherry Knolls Swim Club. MLS#8612886. Douglas Elliman Real Estate. 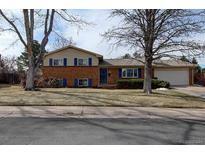 Desirable East Circle location in Cherry Knolls. MLS#6797180. RE/MAX Unlimited Inc. Walk the property now on any device by clicking the movie reel link under the picture or this link here. https://my.matterport.com/show/?m=2m8tNQMN3yk&mls=1 MLS#2823058. Search Colorado RE LLC.